Great news! 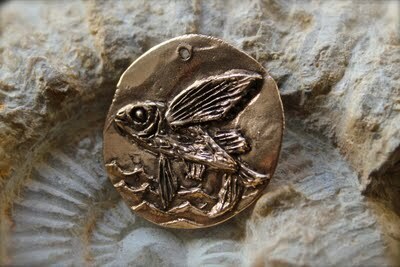 Andrew Thornton has a weekly “Thursday Giveaway”- a chance to win finds from the artbead community- and I won this one! 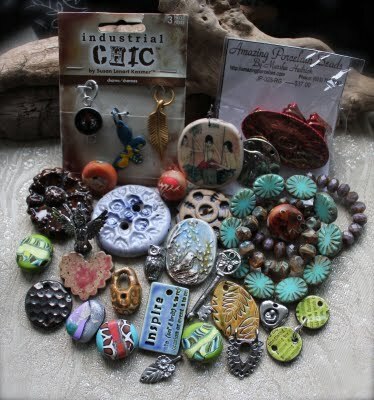 It is a round-up of treasure beads from artists at the Bead & Button Show in Milwaukee from his recent trip. Yay! 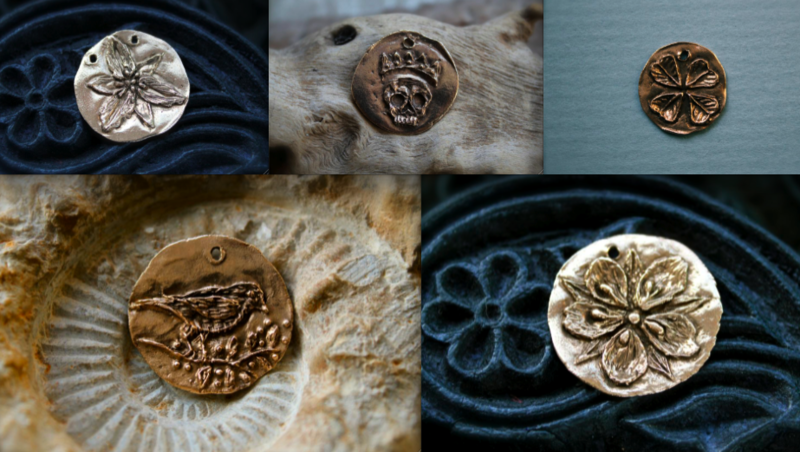 And speaking of amazing pendants- I’m lovin’ Andrew’s latest- sterling, copper, brass pendants of ravens, owls, sugars skulls & more – in very cool designs. You can find them at Andrew’s shop here.